If you want to become an accountant and you are looking for a good academic program to jump-start your career, Ohio is a great place to be. Over 100 Ohio colleges and universities offer accounting programs, starting with the prestigious Ohio State University and its Fisher College of Business. Founded in 1994, the college is rated as one of the top business schools in the country and boasts a CPA exam pass rate for first-time candidates of over 70%. Other notable accounting programs are offered by the University of Cincinnati, the Case Western Reserve University, Miami University, Ohio University, John Carroll University and many others. Becoming an accountant is hard work, and the exam required to become a Certified Public Accountant (CPA) is infamously difficult. Add to that the cost of tuition and it will become apparent that choosing the right accounting program is not a decision to be taken lightly. However, there are steps you can take to ensure that you are making the right choice. First, choose a program that is accredited either by AACBS (The Association to Advance Collegiate Business Schools) or by the state’s board of accountancy. Secondly, you should check the pass rate of program graduates on the CPA exam. Make sure you ask for recent figures and take into account how a smaller pool of graduates might influence percentages. A third important clue is the presence of major CPA firms on campus to recruit graduates. You can have a look at student employment rates and at placement opportunities on campus, as this can help you secure work after graduation. You can also ask to see students’ evaluations of the course instructors in order to gauge the quality of the program. 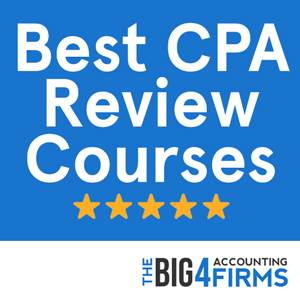 The best accounting programs should provide you with a mix of quality teaching, hands-on experience and challenging assessment to prepare you for the CPA exam. Don’t forget that a more demanding program is more likely to help you face the challenges of an accounting career. Becoming an accountant can be a rewarding career choice if you have an aptitude for business and finances, as well as good analytic skills. You will need to complete a minimum of a four-year bachelor’s degree, including a number of accounting and business courses. However, in order to become a Certified Public Accountant (CPA), the requirements are even higher: you will have to earn a 150-credit accounting degree before you can sit for the Uniform CPA examination. Before you apply for the CPA license, you will need to pass the exam and meet the state’s experience and ethics requirements. The CPA exam is a difficult stepping stone on your way to becoming a CPA, which is why it is crucial to choose a top quality accounting program that can prepare you for the examination. While the exam is notorious for its low pass rates, studying at a highly ranked and accredited school with rigorous instructors will give you an edge. Attending a successful accounting program will also present you with more employment opportunities after graduation, as firms are known to target the most prestigious schools in order to recruit accountants. The accountancy board of Ohio requires CPA candidates to earn 150 semester college credits before sitting for the CPA exam. Out of these, accounting courses must amount to 30 credits (24 credits if above introductory level) and a further 24 credits must be earned in business courses. While business courses should cover finance, marketing, management, economics and other courses specific to the business curriculum of each individual program. 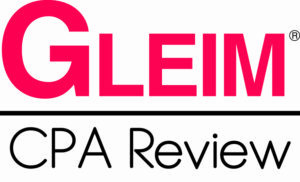 If you have not earned the 150 credits, but have met the other course requirements, you may sit for the CPA exam provided that you pass the Graduate Management Admission Test (GMAT) with a score of 620. In order to apply for a CPA license in Ohio, you will need to be an Ohio resident, to have passed all sections of the CPA exam and to have acquired one year of experience in accounting. You are also required to complete a course in professional standards and responsibilities. Ohio offers plenty of opportunities for an accounting graduate, with many important firms based within the state and with a higher than average employment level for accountants. The average annual salary for an accountant is roughly $67,000, higher than the national average for this profession. The salary of an accountant can increase with experience from approximately $50,000 (entry-level) to $80,000 (late career). This can also depend on the career path you choose, as many different options are available to CPAs: you can work in a firm, in a non-profit organization, at any governmental level or choose to be self-employed. The accounting program offered by Miami University’s Farmer School of Business is one of the most highly regarded programs in Ohio. The program is AACBS-accredited both at the undergraduate and master’s level and is designed to satisfy the CPA credit requirements. The 150 credits necessary for taking the CPA exam can be earned either in 5 years (a four-year Bachelor’s degree in Accountancy and a one-year Master’s degree) or in 4 years by high-achieving students (dual degree). The accounting courses offered cover the subjects of financial and managerial accounting, accounting systems, auditing, taxation and the principles of accounting. The program has a strong focus on employability, with many accounting firms present at the school’s careers fair and a high graduate employment rate according to surveys. The national recognition earned by the school (awarded 19th place in PAR’s 2013 survey of accounting professors) makes it a target for top employers and a good place to start an accounting career in Ohio. Ranked 10th in the Public Accounting Report 2013 survey and 11th in accounting by US News, the Ohio State University offers undergraduate, graduate and doctoral programs in accounting within the highly regarded Fisher College of Business. The school is AACBS-accredited and presents undergraduates with a range of 12 specializations that include tax accounting, management accounting, research practices, government and non-profit accounting. As part of the degree program, students complete 34.5 business hours and 24 specialization hours. What makes the Fisher College of Business stand out is its orientation towards professional experience, with plenty of opportunities for extracurricular experience available for accounting majors who wish to start their career at an advantage. National firms have been known to target Ohio State University graduates, who also tend to achieve a higher pass rate on the CPA exam than the national average. The Cleveland-based Case Western Reserve University is best known for the high first-time CPA exam pass rate of its graduates (70.9% in 2013). Ranked 38th nationwide and 65th for its graduate business school by U.S. News, Case Western Reserve University is one of the best places to be if you’re a prospective accountant in Ohio. The AACSB-accredited Weatherhead School of Management boasts an undergraduate accountancy program ranked 18th in the country by Businessweek. The Bachelor of Science in Accounting includes 122 hours of coursework in accounting, business, finance and related areas that can help students not only pass the CPA exam, but also succeed in a dynamic business environment. Connections with the local business community mean that students may be recruited by the Big Four or Fortune 500 companies. Graduate students can complete the Master of Accountancy at Weatherhead School to acquire skills in advanced financial accounting, taxation, auditing, theory, policy and information systems. To further tailor their education, students may choose a second concentration in U.S. Taxation or Financial Reporting and Attestation Services. Alternatively, they may select one elective that can complement their accounting career. The Weatherhead School offers two accelerated tracks for students wishing to fulfill CPA requirements: a joint BS in Accounting/Master of Accountancy degree or an accelerated BS in Accounting/Master of Accountancy. Other study options include an Accounting minor and an introductory accounting course, as well as a PhD in Management with a focus on Accountancy. To gain hands-on experience, students can get involved in student societies such as Beta Alpha Psi, take part in the Action Learning course at Weatherhead, participate in student competitions and conferences or even apply for a study abroad experience. In addition, the Career Management Office can help students and graduates liaise with potential employers and maximize their networking opportunities.